I only placed two orders on Black Friday (despite the many amazing number of sales and discounts) and last week I posted about my Anastasia Beverly Hills order (here) so today I want to show you my Beauty Bay purchases. There were lots of products that tempted me but I decided to stick to some that were on my wishlist from two brands - Natasha Denona and Mario Badescu. The first product is Natasha Denona Face Glow Primer Hydrating Underbase. I fell in love with Natasha Denona products when I first started using them in August (review here) and I don't think I'll be satisfied until I've tried all of her products! I absolutely adore her Face Glow foundation so I wanted to try her hydrating primer to see if it lives up my high expectations! I always opt for hydrating primers because I don't really need something to help extend the wear time of my foundation, due to having dry skin, so I am very excited to try this! I already own and love her powder highlighter so I also purchased Natasha Denona Face Glow Cream Shimmer 02 Medium to up the ante even further in the highlighting stakes. I chose the shade Medium, despite having the Light version of the powder because I think that Medium might suit my skin tone better. Again, I am very excited to use this! Natasha Denona products were reduced by 30%, so I also bought Natasha Denona Eye Lash Curler because I have been without one for a few months and I've missed it! This one was only €10 in the sale, which is very affordable. In terms of skincare, I bought two products that some of my blogging friends rave about (looking at you, Dagmara and Leanne!). The first is Mario Badescu Facial Spray With Aloe, Herbs And Rosewater, which I sprayed as soon as I took it out of the box! It has a beautiful, refreshing yet calming scent but I will have to use it for longer before deciding how it compares to my other hydrating sprays. I also purchased Mario Badescu Silver Powder because I loved the way Leanne described it and over the festive season, my skin sometimes becomes a little congested due to eating too many of the wrong type of foods, less sleep and possibly drinking less water so I hope that this will help to sort out any blackheads that might rear their ugly heads! Have you tried any of these products? Did you nab any bargains in the Black Friday sales? 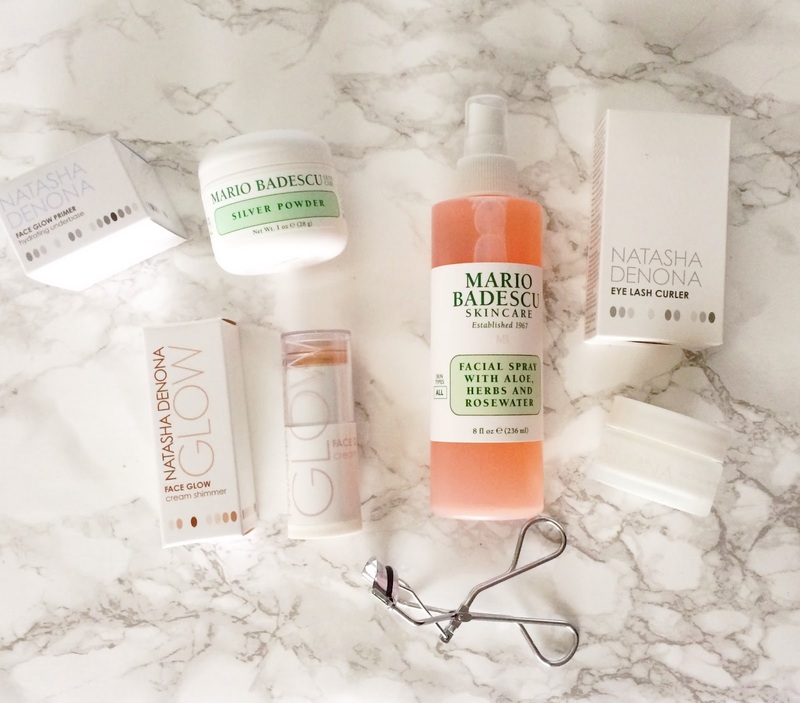 Are there any other Natasha Denona or Mario Badescu products tat you recommend I try? I'd love to hear your thoughts in the comments below! Don't forget to enter my Luxury Fragrance Bundle giveaway here and my CaseApp giveaway here!